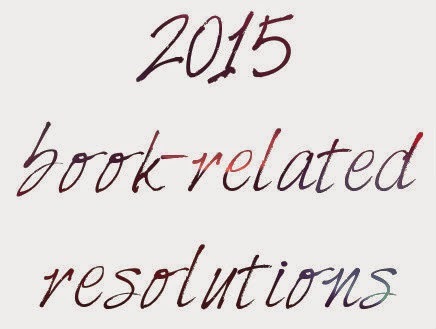 Yesterday I took a look back at my year in books and today, being the start of a new year, I'm going to look forward. 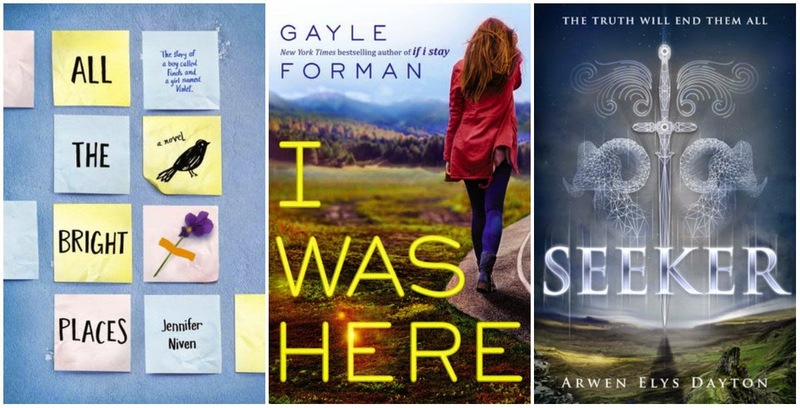 One of the things that make me so excited about a new year is all of the new books that are going to be published and I thought I would take a look at some that I can't wait to read along with a few book-related new year's resolutions! Here are 15 novels that come out THIS YEAR that I'm excited to read! A Court of Thorns and Roses by Sarah J. Maas - I love Sarah J. Maas' books, so I'm sure this will be no exception! A Darker Shade of Magic by V. E. Schwab (aka Victoria Schwab) - Schwab's first adult book was SO GREAT and I have high hopes for this one! Bones & All by Camille DeAngelis - Cannibals. That is all. Delicate Monsters by Stephanie Kuehn - Supposedly the main female character is screwed up. I'm excited to see if it's true! Hold Me Closer: The Tiny Cooper Story by David Levithan - This is a musical as a novel about one of the best characters from Will Grayson, Will Grayson. It cannot get better than that. Lair of Dreams by Libba Bray - I'm excited to finally see what happens to this cast of characters! Magonia by Maria Dahvana Headley - This cover. This summary! And Neil Gaiman meets John Green? Heck yes I'll give that a shot! Monstrous by MarcyKate Connolly - This book just sounds so adorable I can't even. Also, the cover is SO CUTE!!! Ruthless by Carolyn Lee Adams - A girl gets kidnapped by a serial killer and he might become her first victim? Oh yes. The Devil You Know by Trish Doller - I love both of Trish's previous books and this one is a thriller, which is right up my alley! The Remedy by Suzanne Young - A prequel to The Program that shows how it all started? I foresee tears in my future. The Sin Eater's Daughter by Melinda Salisbury - The main character can't touch anyone, which reminds me of Shatter Me, but it sounds like it's gonna be set in more of a mid-evil time. That sounds awesome! The Walls Around Us by Nova Ren Suma - I've loved Imaginary Girls and with this novel it sounds like she's getting back to that more magical realism thing, which has me super excited! A History of Glitter and Blood by Hannah Moskowitz - The description of this novel just sounds so beautiful I can't not read it. Extraordinary Means by Robyn Schneider - I loved Schneider's first novel, The Beginning of Everything, and this book - which is about people with incurable tuberculosis - sounds like exactly something I would read. Nowhere But Here by Katie McGarry - I'll read anything McGarry writes and this new series sounds HOT. The Dead House by Dawn Kurtagich - This is a psychological thriller made up of several things, including medical reports and video transcripts. That sounds way cool! The Rose Society by Marie Lu - The Young Elites was one of my top reads last year and I'm excited to see how the story continues. Slasher Girls & Monster Boys edited by April Genevieve Tucholke - I added an extra book because this is an anthology. I love a lot of the authors contributing to this and the idea sounds awesome! 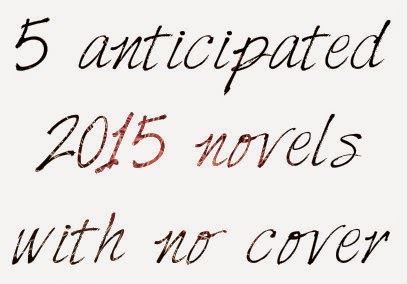 This is not even close to a list of the books I'm excited for to come out in 2015! Ask me about more of them in the comments, on the facebook page, or on twitter! A new year also means some resolutions to go along with it. I decided that, to hold myself more accountable, I would write down a few of my book-related ones here! These are in no particular order. I hope to read 100 books this year, which is 49 more than last year (or about double). With the increase in books I also hope to increase the number of posts I put up. Reviews, giveaways, and just plain discussions! I want to write at least 350 words every day (here a "day" is a weekday that is not a national holiday. That equals writing at least 252 days this year)! I have extra copies of three 2015 ARCs and so I've decided that one winner will get to pick two of them to keep for themselves! Below are the three titles I have extra copies of and all you have to do to win is enter via the rafflecopter! And since this giveaway started a day after the one put up yesterday it will end on the 11th, instead of the 10th! This giveaway is only open to people with US/Canadian mailing address because I am very broke and international shipping is expensive. Sorry to all of my international followers, there will be more giveaways for you in the future! There so many 2015 releases to choose from, but my top five are: Oblivion, Raven Cycle #4, Magonia, Things We Know By Heart and All Fall Down. Thanks for the giveaway! I'm looking forward to reading Bookishly Ever After, The Devil You Know, Becoming Jinn, and a million of other 2015 new releases! Some of the books I'm looking forward to reading are A Court of Thorns and Roses as you are too, and the untitled next Mercy Thompson book by Patricia Briggs. In accordance with the new FTC Guidelines for blogging and endorsements, Peace, Love, Teen Fiction would like everyone to know that the books featured / discussed on our blog were either provided to the reviewers by the publisher or the author for free OR were purchased by us. The ones we receive for free DO NOT influence our opinion of the book/author.